We love when our two of our favorite foods are combined into one tasty treat. The Silver Moon lines of adult-only ice creams pairs the icy, sweet treat with liquor for flavors like Pomegranate Martini sorbet and Orange Creamsicle ice cream with Cointreau. 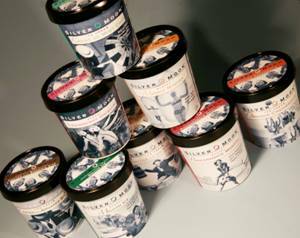 The Silver Moon ice cream is available at Whole Foods in northern California or for order online.